UpValley Village Outing Explores Disney's Trains! UpValley Village Outing Explores Disney’s Trains! 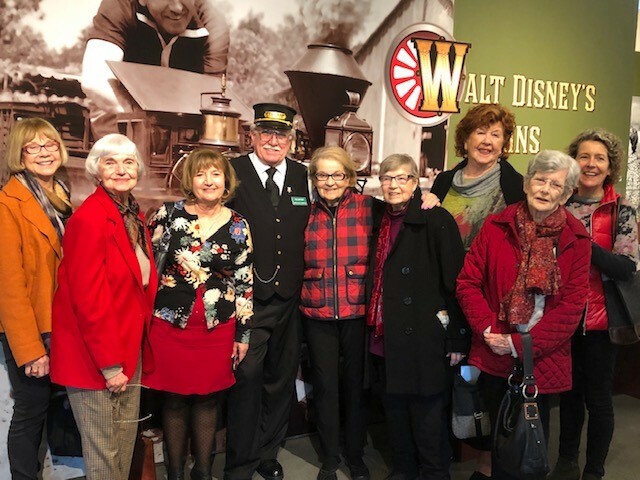 Thanks to a generous gift from the Napa Valley Museum Yountville, members of Collabria Care’s UpValley Village took a wonderful tour of the Museum’s current exhibit “Walt Disney’s Trains”. Guided by docent Gary Valentinsen, who is both a volunteer for the Museum and Model Train Historical Society, the group learned about Walt Disney’s early fascination with trains that ultimately played a role in the development of Disneyland. Following the tour, UpValley Villagers enjoyed refreshments at the lovely Yountville home of Village Advisor, Billie Hewitt. 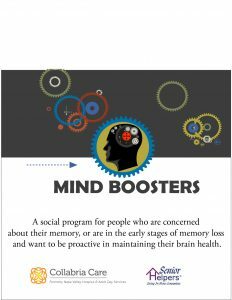 Sharing activities together is among the many benefits members of the Village enjoy, in addition to support services from local volunteers and referrals to professional service providers. This is an example of the special outings we are planning in 2019 for Village members. The Village wants to be more than a source of support services. We also want to provide members an opportunity to meet new friends and have interesting social experiences. The UpValley Village is a membership-based program for older adults residing in towns from Yountville to Calistoga. Feel free to contact UpValley Village Program Manager, Myrna David about membership and volunteer opportunities, (707) 244-5042 or mdavid@collabriacare.org.